This New Testament commentary is written in a fluid “school notes” style that is praised for its readability. Though easy to understand, it is still extremely scholarly and wide-ranged, and has 54 volumes and almost 40,000 pages. This is the New Testament only. 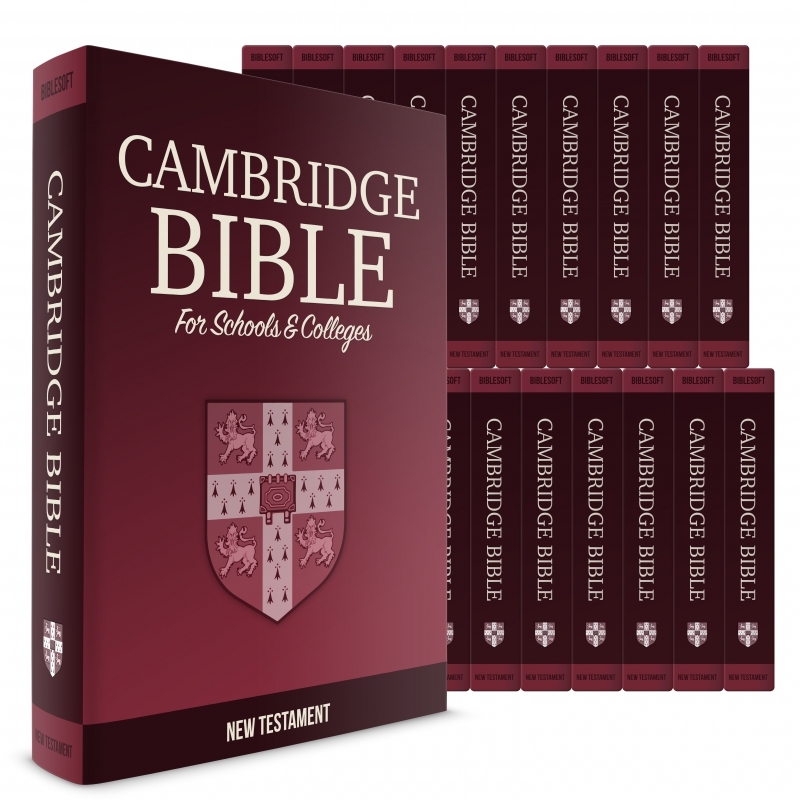 The full commentary is available here Complete Cambridge Bible for Schools and Colleges. Now, you can explore the thinking of one of the greatest preachers of all time! Take advantage of this opportunity to get one of the most highly respected commentaries of the last century for your library. The Cambridge Bible for Schools and Colleges was regarded as one of two significant commentaries published during its era. It was the first complete Bible commentary ever produced by the Cambridge Press. More than thirty theologians and biblical scholars contributed to this collection, including Herbert Edward Ryle, S. R. Driver, J. Skinner, A. Plummer, F. W. Farrar, H. C. G. Moule, and W. H. Simcox. It is often mentioned together with the International Critical Commentary (ICC) as the two important commentaries released in the immediate wake of the Bible scholarship revolution following Wellhausen and his Documentary Hypothesis. Even though it takes this important turn in scholarship into consideration, it still is considered a fairly conservative commentary. The general editors were J.J.S Perowne, D.D., Bishop of Worcester, and A.F. Kirkpatrick, D.D., Regius Professor of Hebrew. They were known as outstanding scholars in the original Biblical languages, as were many of the single volume authors, and did not have to depend on secondary scholarship their language work. This commentary has a much more readable style than its Greek counterpart, the Cambridge Greek Testament for Schools and Colleges, also published by Cambridge Press at roughly the same time. The Cambridge Bible for Schools and Colleges is known for its ease of reading as well as its scholarship. The notes are written in a school commentary style, which, though somewhat leaner and easier to read in short sessions, are still rich in analysis and extensive exegesis. The comments also include history, original languages work (including paraphrasing), literary analysis, outlines, and verse by verse comments. “It will be a long time before any more suitable work appears -- (Educational Times, 1904).